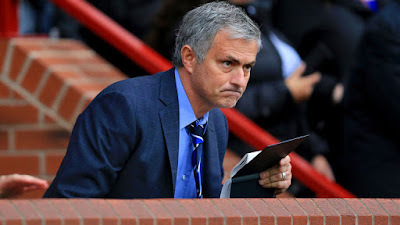 Former Cameroon skipper, Samuel Eto’o is of the opinion that his former boss at Inter Milan and Chelsea, and now Manchester United manager, Jose Mourinho, has lost his magic touch, and believes his former boss at Barcelona, Pep Guardiola is now the best manager in the world. Eto’o also attacked Eden Hazard when he appeared on French TV show, Telefoot, on Sunday, insinuating the Chelsea star used to be lazy. Mourinho signed Eto’o twice during the striker’s glittering career at the top, bringing him to Inter Milan and Chelsea. The Cameroonian helped the Portuguese tactician win a famous treble while in Italy, although his one season at Stamford Bridge was less successful. Chelsea won the league the year after Eto’o left, but Mourinho suffered humiliation a year ago when he was sacked by the west London outfit for a second time. ‘The Special One’ is now trying to work his magic with Manchester United, but Eto’o insists Mourinho needs to abandon his once-successful defensive brand of football. According to Eto’o, “Jose has changed. I knew someone exceptional at Inter. At Chelsea, it was already difficult, but he has further evolved. “Today, you have to want to play football, to play your men. We cannot continually defend. Football is not that.